Compact LED effect light projects strips of rotating multicolored light. 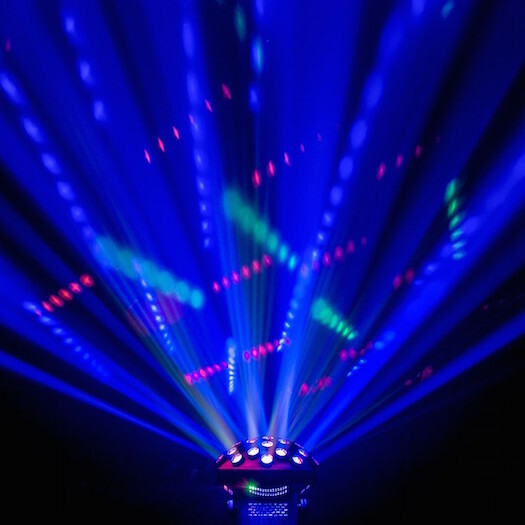 Easily controlled and creates stunning tri-color aerial effects. Create mid-air effects and blanket the entire room with eye-catching patterns. 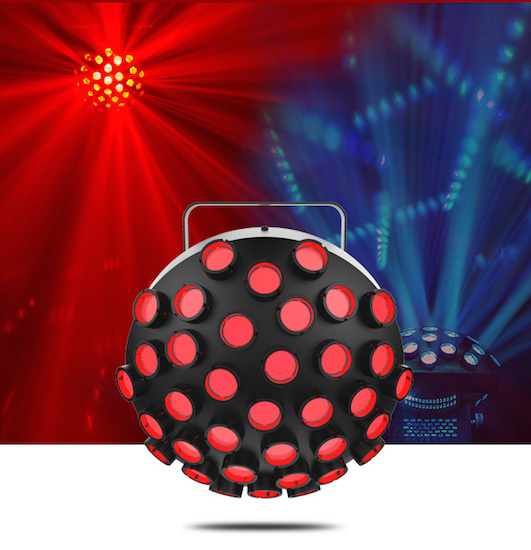 Great for: mobile applications, small events, and small clubs. Multiple zones allow for spectacular animated effects. Adjustable rotation speeds offers dynamic shows. Compatible with IRC-6 for flexible control over all features. DMX Channels: 3 or 6. DMX Connectors: 3- pin XLR. Light Source: 27 LEDs (tri-color RGB) 1.5 W, (0.6 A), 50,000 hours life expectancy. Power Linking: 12 units @ 120 V; 25 units @ 230 V.
Power and Current: 36 W, 0.6 A @ 120 V, 60 Hz. Power and Current: 35 W, 0.3 A @ 230 V, 50 Hz.